These Terms and Conditions govern the relationship between Infinity Mobile NV, a Belgian registered company having its seat at Hoogstraat 29, 9850 Nevele, Belgium under company number BE0640.980.849 (hereinafter Infinity Mobile) and its Clients, specifically regarding the use of/interaction with the software of Infinity Mobile, which provides mobile solution software and applications. Except express written agreement stating the contrary, these Terms and Conditions apply to all services and goods, quotations, orders, contracts and invoices (hereinafter jointly: the "Services") rendered, delivered or established by Infinity Mobile in relation with "Infinity Mobile", even in case of absence of any signed order form by the Client. The Services rendered by Infinity Mobile might be subject to a specific agreement between Infinity Mobile and the Client. In case of contradiction between provisions from the present General Terms and Conditions and provisions from a specific agreement the latter conditions will prevail. All rights and obligations established between the Client and Infinity Mobile (together the "Parties") regarding the Services ordered by the Client shall collectively be called "the Agreement" to which the present General Terms and Conditions shall apply. 1.1 Orders must be delivered to Infinity Mobile in writing (by letter or email). Any disputes shall be settled on the basis of written documents. In the absence of the latter Infinity Mobile cannot be held responsible in the event of any possible misinterpretation of an order or request made by the Client. Every order is irrevocably binding for the Client. 1.2. Infinity Mobile shall at all-time preserve the right, without having to provide for any reasons, to refuse the delivery of Services, including for applications that could potentially harm Infinity Mobile's quality of Services or its reputation. Infinity Mobile will also refuse any possible application that might or does violate any provisions of the Code of Conduct (see Section 6 hereunder) or that could be considered to be an "Unacceptable Use" of the Services (see Section 10 hereunder). 1.3. The offers and tenders provided by Infinity Mobile are established on the basis of the information provided by the Client. Any change regarding this information might imply a revision of the price and/or the delivery modalities by Infinity Mobile. 1.4. A written order from the Client or a confirmation of the order by Infinity Mobile is provided for each additional order. 1.5. The cancellation of the order by the Client must be made by written notice to Infinity Mobile. 1.6. The cancellation of the order, regardless of the reason, entitles Infinity Mobile to the payment of the full entire fee envisaged, subject to the right of Infinity Mobile to claim full compensation for any damage that might have occurred or occur because of the termination. 2.1 Except where otherwise clearly indicated, any Agreement will be considered to be concluded for a period of two (2) years, automatically renewed for successive one year terms thereafter. Unless the Client provides Infinity Mobile with a 2 month notice in writing, the Agreement will automatically renew at the end of the Term. 2.2. The negotiated deadlines for delivering the Services may be extended following a possible delay of the Client in providing the necessary information needed for the performance of the Services, as well as to the payment of its invoices provided by Infinity Mobile. 2.3. A delay in delivering the Services can in no way cause the cancellation of an order and/or the termination of the present Agreement, nor the payment of damages of any kind by Infinity Mobile. expressly indicated otherwise by Infinity Mobile. The Client will be the sole responsible to abide by the relevant VAT and other applicable tax provisions relating to the Services ordered. 4.3. In addition to Section 4.2. of the present Terms and Conditions the Client will have to pay a fixed and irreducible compensation of 15% payable on the outstanding invoice amount, without prejudice to the delay interest referred to in the previous Section 4.2. of the present Terms and Conditions, as well as any applicable charges and court fees. 4.4. The non-payment of any invoice when due, authorizes Infinity Mobile to demand immediate payment of the integral, outstanding balance from its debtor and provides Infinity Mobile the right to cancel all current orders unilaterally without any formal requirements. Such cancellation does not prejudice Infinity Mobile's right to obtain compensation. 4.6. The (fixed and variable) prices and fees used by the Operators might be subject to change, without any prior notification. In such case Infinity Mobile shall preserve the rights to impose new prices to the Client, even without warning. 5.3. Infinity Mobile's liability shall in any event be limited to refunding the price of the non-conformingly executed part of the delivery. Liability for any other form of damage resulting from the relationships with the Client is hereby expressly excluded. 5.5. Infinity Mobile cannot be held liable for damages of any nature whatsoever, which are the result of improper, incorrect or unclear information and/or data provided by the Client. 6.2. The Client represents and warrants that it: (i) has the right to enter into the Agreement which, once duly executed by both parties, shall represent a binding legal agreement, enforceable by Infinity Mobile in accordance with its terms; (ii) shall faithfully and in a timely, professional manner, honor, adhere to and be in compliance with all of the requirements and obligations set forth in the Agreement; (iii) shall ensure that its activities, conduct, actions, materials and/or relationships shall not infringe upon or violate the rights of any party, nor any laws, regulations, ordinances or orders of any judicial or governmental authority or the Code of Conduct described in Section 6 of the present General Terms and Conditions. To the extent such laws, regulations ordinances or orders conflict with the terms of the present General Terms and Conditions, the Client agrees to promptly notify Infinity Mobile and Infinity Mobile shall have the sole right to determine how to resolve such conflict, always subject to applicable laws, rules or regulations. 7.2. 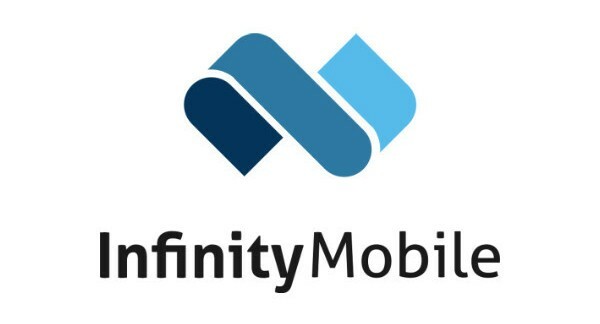 Infinity Mobile shall have the right to terminate the Agreement, by giving written notice yet without having to provide for reasons or indemnify the Client in any way, in the following cases: (i) gross negligence, fraud or violence by the Client; (ii) a material or repeated breach of the Agreement by the Client which renders any further cooperation impossible, or, if it concerns a breach that can be remedied, if such breach is not resolved and/or no end has been made to the breach within 7 days after written notification with acknowledgment of receipt provided by Infinity Mobile describing the breach of agreement and the request to make an end to such breach; (iii) any content made available through Infinity Mobile's Services by the Client in violation of the provisions regarding the Acceptable Use of Services in Section 10 of the present Terms and Conditions hereunder and if the content made available through Infinity Mobile's Services is not taken down immediately. For clarity: the transmittal of any content (for example: a communication or a text) by the Client to Infinity Mobile shall imply the Client's acceptance of that content; (iv) the Client suspending or threatening to suspend the payment of its debts, the Client being unable to pay its debts as they fall due, the Client admitting its inability to pay its debts, or the Client deemed unable to pay its debts following a decision of a competent national authority. Any other case practically identical or similar to the consequence of a potential bankruptcy of the Client. (v) a change of legal control of the Client as an entity; (vi) the existence of reasonable suspicion, or indications leading thereto, with regard to the insincere, deceptive or bad faith intentions of the Client, potential future irregularities, violation of any legal provision or any of the obligations in the Code of Conduct or the present Terms and Conditions. 10.3. The Client shall be the sole responsible to ensure the respect of all the intellectual property rights of third parties, including copyright, when making available, transmitting or providing content of any kind through Infinity Mobile's Services. This will include any content placed, communicated or made available by the End Users of the Services. Infinity Mobile will under no circumstance be liable for any damage that might occur, including the violation of a third party's intellectual property rights, following the content used through the Services for which Client shall remain exclusively responsible. 11. Notice Notices under the Agreement shall not be valid unless in writing and sent to a Party at its known address. 12. Severance If any provision of the present Terms and Conditions (or part of any provision) is found by any court or other authority of competent jurisdiction to be invalid, illegal or unenforceable, that provision or part-provision shall, to the extent required, be deemed not to form part of the present Terms and Conditions, and the validity and enforceability of the other provisions of the present Terms and Conditions shall not be affected. In the foregoing case the parties shall negotiate in good faith to amend such provision such that, as amended, it is legal, valid and enforceable, and, to the greatest extent possible, achieves the Parties' original commercial intention. 14.4 No breach by the Client of any provision of the Agreement shall be waived or discharged except with the express written consent of Infinity Mobile. 15. Applicable law and competent court The present Terms and Conditions shall be governed by and construed in accordance with the laws of Belgium. Any dispute or controversy relating to these present Terms and Conditions can only be brought in the exclusive jurisdiction of the Ghent's courts and each Party consents to the exclusive, personal jurisdiction of such courts.